If outdoor adventure getaways in NY are what you crave, browse through Fun New York's definitive guide to outdoor activities in New York. Enjoy skiing, snowboarding, mountain biking, and other thrilling activities at these cool adventure getaways in New York. 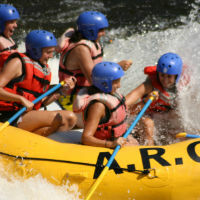 An exciting whitewater rafting getaway in the Adirondacks is a scenic car or train ride away! Join Adirondack River Outfitters (ARO) on one of our guided raft trips and we'll outfit you with the finest equipment, surround you with friendly staff, and provide YOU the service that is the ARO way of rafting. Our trips range in intensity from “Family Fun” to “High Adventure,” and will produce a lifetime of memories for you, your family and friends. Our 17 mile wilderness rafting trip through the Hudson River Gorge was rated by Outside Magazine as one of the "Top 10"Springtime rafting trips in the country! In the summer, the Hudson provides an exciting experience for the whole family. You can combine your raft trip with canoeing, hiking, biking, or just relaxing at a nearby lodge or hotel. SPECIAL OFFER – Call now and receive a $10 rafting discount coupon. Windham Mountain, Where Your Fun Begins! Let yourself in to some great times that you can truly enjoy. 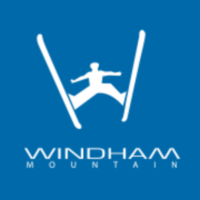 Come to Windham Mountain and experience the fun and thrills that they can offer to you. They provide fun activities such as go kart racing, ziplines, mini golf, and Euro bungy and during the winter season you can enjoy skiing, snow tubing and other fun winter sports. So let Windham Mountain be your adventure getaway here in New York. You will definitely enjoy a great time and will definitely want to come back for more. One of the Best Winter Adventure Getaways in NY! Enjoy one of the coolest adventure getaways in New York at Hunter Mountain, the Catskills' premier winter resort destination! 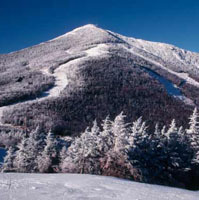 The resort is known for its impressive vertical drop and some of the most reliable snow conditions in the East. The Hunter One Trail is specifically geared towards families and beginning skiers. Intermediates can choose from an array of summit-to-base groomed cruisers. For all you adventure lovers, there's also a variety of advanced trails including the slopes of Hunter West. The four seasons resort always has activities that the whole family can enjoy, making it perfect for both family and adventure getaways in NY! Gore Mountain, Where Adventure Begins! Have a break from it all and come to Gore Mountain. The place makes a perfect adventure getaway here in New York, with lots of things to do such as, mountain biking, hiking, mini golf and during winter season you can enjoy skiing, snowboarding and many more fun winter activities. 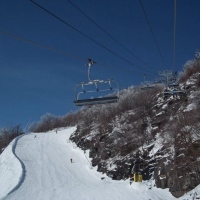 With Gore Mountain you can expect loads of fun and see some amazing scenery. Come to Gore Mountain and explore the magnificent wonders that await you. Let this amazing place inspire you with its beauty and wonders. Exhilarating Adventure At Hudson River Gorge! Enjoy white water rafting with the whole family here in New York and let Wild Waters Outdoor Center take you on an exciting white water rafting adventure. It will definitely be a spectacular experience in which you get to enjoy white water rafting at Hudson River Gorge. The adventure will be a full day action packed adventure where you get to enjoy 17 miles of breathtaking scenery. Enjoy white water rafting here in Hudson River Gorge and let Wild Waters Outdoor Center guide you through the path of excitement and adventure. A Perfect Getaway Adventure At Big Bear Ziplines! 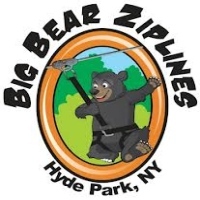 Let Big Bear Ziplines be your place of choice to experience thrills and excitement here in New York. A perfect place for the whole family to spend some amazing time together, Big Bear Ziplines is where you can enjoy a 4,000 foot zipline experience and enjoy some amazing sightseeing in the area. So come to Big Bear Ziplines and experience adventure, experience the thrill and excitement that Big Bear Ziplines has to offer. Visit the website and make your reservations today. Experience Adventure At Howe High Adventure! Enjoy fun and excitement here at Howe High Adventure. A perfect getaway destination here in New York, Howe High Adventure is where you can enjoy sightseeing and have some fun activities like ziplining, rock wall climbing and their challenging rope courses. 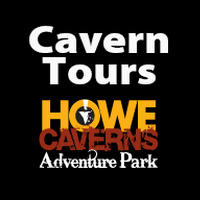 With Howe High Adventure, you can expect that you will have a great time and will enjoy a wonderful day in this wonderful place. Come to Howe High Adventure and experience for yourself all the fun and excitement that the place has to offer. Great Adventures At Adams Eden Camp! A perfect place here in New York great for any getaway adventure, Adams Eden Camp is where you can enjoy lots of fun activities with friends and loved ones. Activities include sightseeing, hiking, biking, ziplines, wall climbing and many more. You will definitely enjoy a wonderful day here at Adams Eden Camp. Make your plans and come to Adams Eden Camp where you can expect to enjoy all the excitement and fun that they can offer. Bristol Mountain, A Great Adventure Getaway In New York! Come to Bristol Mountain where you can experience all the fun of winter activities. The place has in its venue a ski lift, a rental store and a place to stay and spend the night. With Bristol Mountain you can expect loads of fun in their winter activities and it makes a perfect place for an adventure getaway here in New York. So let Bristol Mountain make your New York getaway adventure be a spectacular experience. 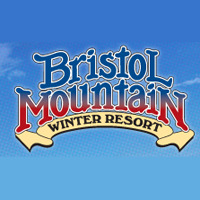 Book your reservations and contact Bristol Mountain today. Catamount Adventure Park, A Perfect Place Where Adventure Begins! Come to Catamount Adventure Park and let this place give to you the thrills and excitement you need to satisfy you. 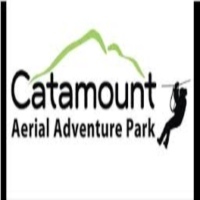 A great place for an adventure getaway here in New York, Catamount Adventure Park provides spectacular scenery for sightseeing and lots of fun activities. Let Catamount Adventure Park be your place of choice to have fun here in New York. With their obstacle courses, you will definitely experience a serious challenge and have a great time. 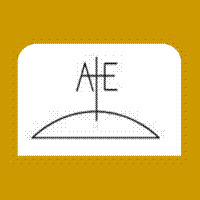 Visit their website for your inquiries and to learn more about this place. Experience Excitement Here At Holiday Valley Resort! Come to Holiday Valley Resort and let this place take your breath away. A perfect adventure getaway here in New York, Holiday Valley Resort is where you can enjoy biking, hiking, golfing during the summer and skiing, snow tubing and snowboarding during the winter season. You will definitely enjoy what Holiday Valley Resort has to offer to you. Let Holiday Valley Resort be your place of choice to have fun and experience the thrills and excitement. Visit their website for more information on the schedules of their seasonal activities. All The Thrills And Excitement At Adirondack Extreme Adventure Course! Come to Adirondack Extreme Adventure Course and experience for yourself the thrills of their challenging obstacle courses. The place is where you can enjoy a great adventure getaway in which you will experience different challenges in their obstacle courses. Here at Adirondack Extreme Adventure Course you can expect to do ziplines, crossing suspended bridges, rope swinging and much more. So let this place bring out the thrill in you. 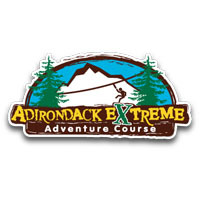 Come to Adirondack Extreme Adventure Course and have a wonderful experience that you can truly enjoy.